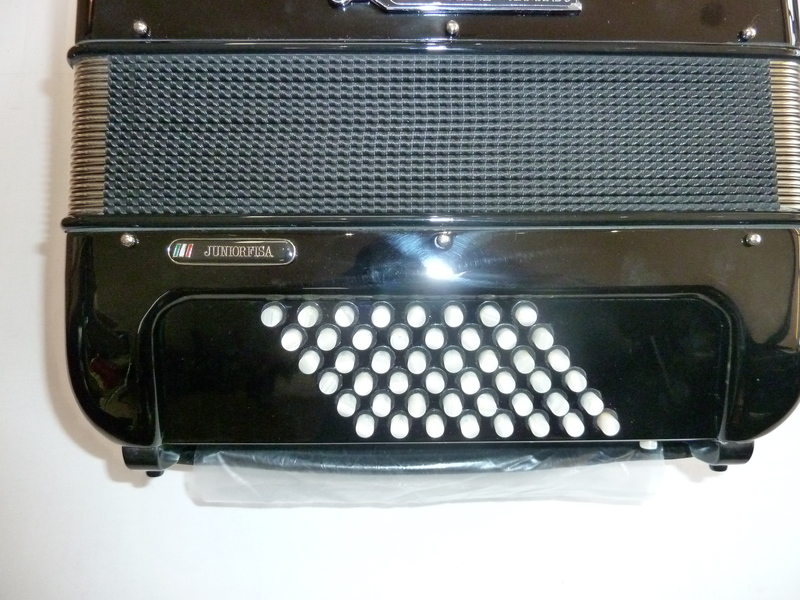 A top quality Bugari 48 Bass Accordion from this renowned Italian manufacturer. 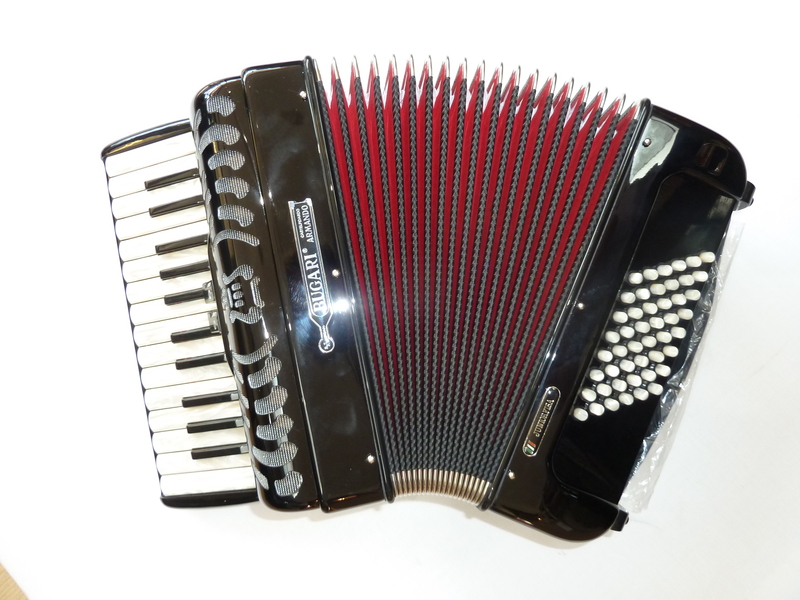 This extremely lightweight and compact accordion would be ideal for the smaller player, or as a second accordion for playing whilst standing up etc. With a two voice tremolo tuning that produces a rich, bright tone from its extremely powerful reeds, the Bugari 48 bass accordion would make an ideal instrument for all styles of music, and would be especially suitable for morris or folk, where the need to cut through other instruments is important. Finished in a high gloss black. with other colours available on request, and featuring very attractive pearl keys. 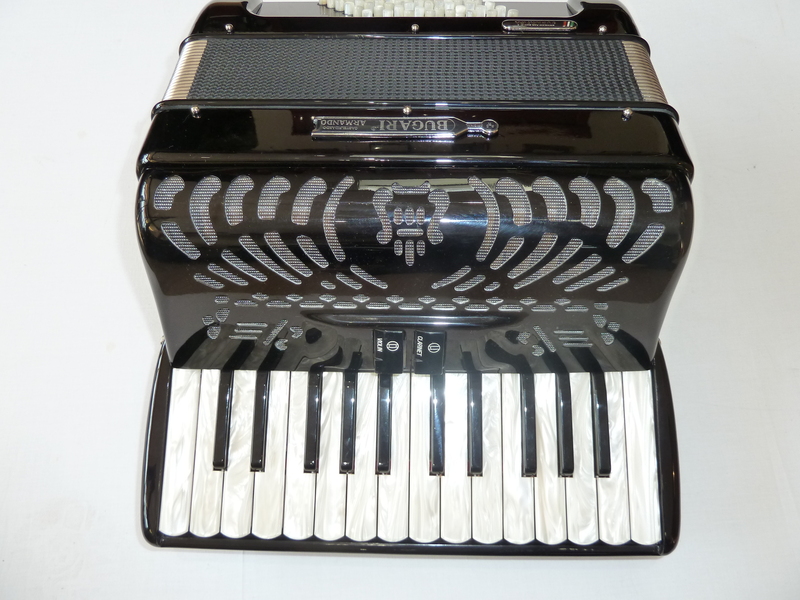 A 0% interest free loan is available on this Bugari 48 Bass Accordion subject to status via the Arts Council. Terms and conditions apply – please contact us for full details. This Bugari 48 Bass Accordion comes complete with your choice of either a soft gig bag or a hard case, padded shoulder straps and a full three year component parts guarantee. 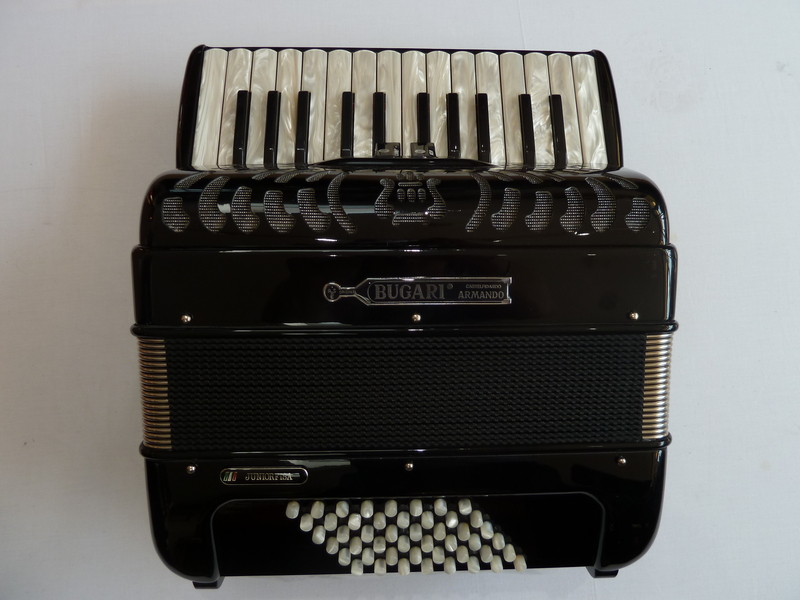 Don’t forget, free delivery of this Bugari 48 Bass Accordion to most parts of mainland UK is included in the price! Weight: 5.9 Kg. - 13.8 Lbs.